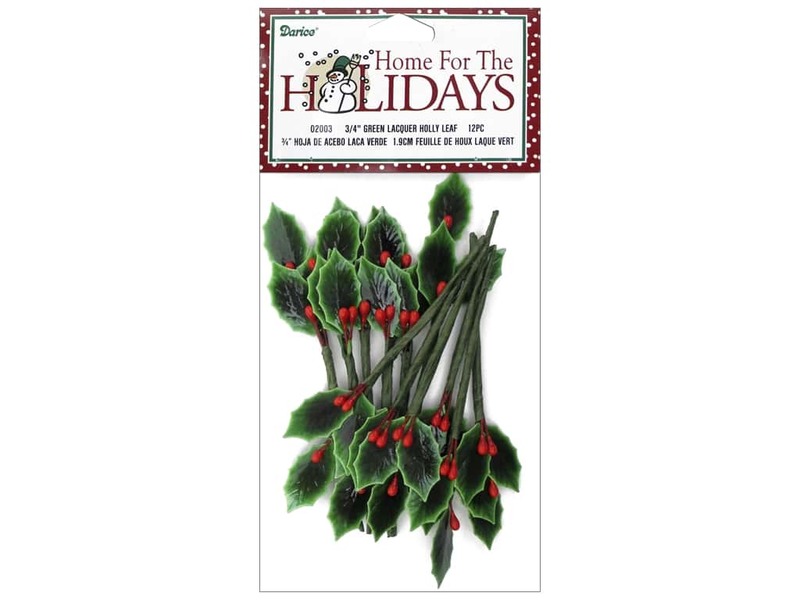 Description: Darice Holly Picks are perfect for decorate holiday wreaths, trees, garlands, displays, and more! Each stem has three 3/4 inch lacquer leaves and 3 Red berries. 3 1/4 inch high. 12 pc.